Astronomers have located the source of a fast radio burst — a rare and distant release of cosmic radio waves that lasts mere milliseconds — in a galaxy more than three billion light-years from Earth. Fast radio bursts were first discovered in 2007 using telescope data from 2001, and they still aren’t well understood. Initially, it wasn’t even clear if the bursts were coming from within our galaxy or outside it. To date only 18 fast radio bursts have been discovered. 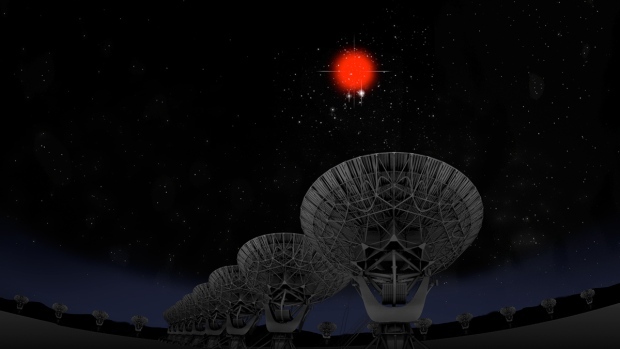 In March 2016, McGill University PhD student Paul Scholza found that a previously discovered fast radio burst was repeating, which was a first. This provided an opportunity for astronomers to further study them. In 2016, a team of Canadian and American astronomers seeking to locate the source of FRB 121102 observed it for 83 hours over six months. They were able to catch FRB 121102 a total of nine times. Determining the source was no easy feat: the astronomers used the National Science Foundation’s Karl G. Jansky Very Large Array (VLA) radio telescope to get a precise location in the sky. Using that data, astronomers then used the Gemini North Telescope in Hawaii to get a visible-light image of the region. They found a faint galaxy right at the heart of the outbursts, three billion light-years away. As well as pinpointing the location, astronomers also observed weaker bursts nearby. In order to get an even more precise location, a team used two other telescopes to conduct observations. What they found was that the two sources are within 100 light-years of one another. The scientists concluded that these bursts could be coming from the same object or that they are somehow physically associated with one another. In order to release such energy, astronomers believe that fast radio bursts are caused by neutron stars — small, dense stars left over after a supernova. Another possibility is that they occur with a magnetar, a type of star that is similar to a neutron star, but with extremely powerful magnetic fields. 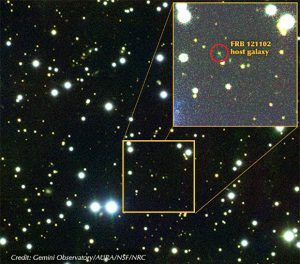 The astronomers believe that FRB 121102 could be coming from such a star. 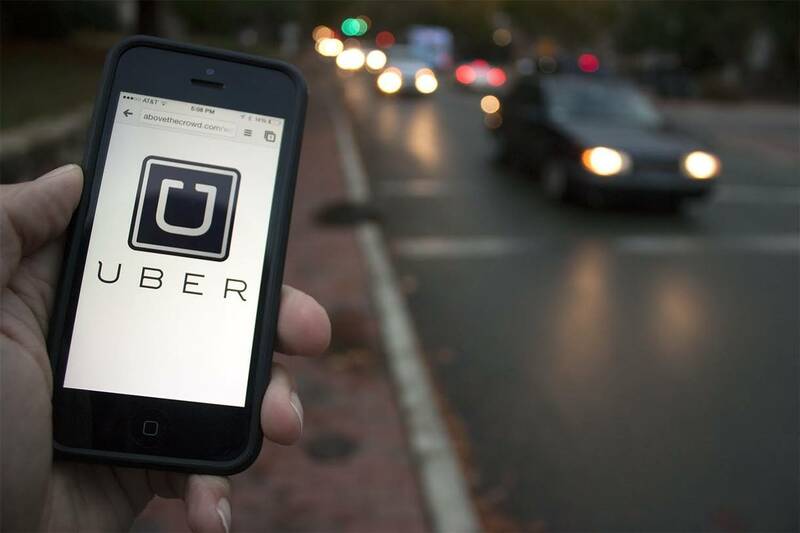 The research was published in the journals Nature and Astrophysical Research Letters.